The formulated solvents clean, soften and remove contaminants while the light viscosity oils ensure deep penetration into hard to reach moving parts. The high-grade petroleum oils provide optimum lubrication under extreme temperatures (-60 to 475 degrees Fahrenheit) and tremendous pressure (up to 3000 pounds). The PTFE lubricant additives provide superior longevity in protection against moisture, rust, corrosion and metal-on-metal wear. 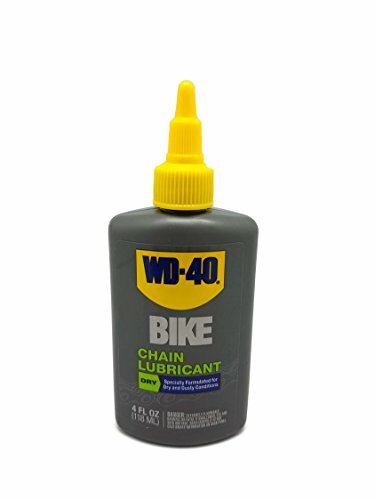 Dumonde Tech Original Bicycle Chain Lubrication One Color, 2 oz. 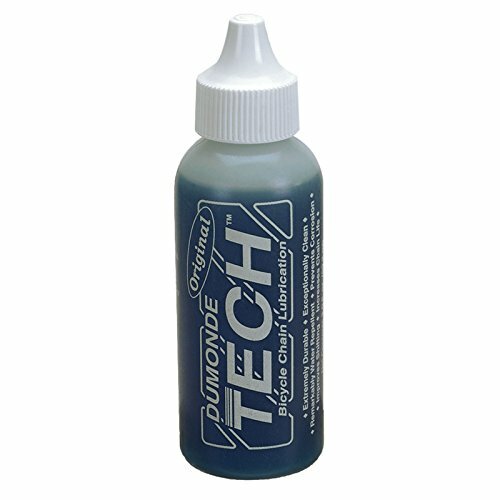 Look in any pro mechanic's tool box, and you'll find a bottle of Dumonde Tech Original Chain Lube. It's a bit more viscous than the commonly-used Dumonde Tech Light, but we've found it holds up a bit better to bad weather and gritty conditions. 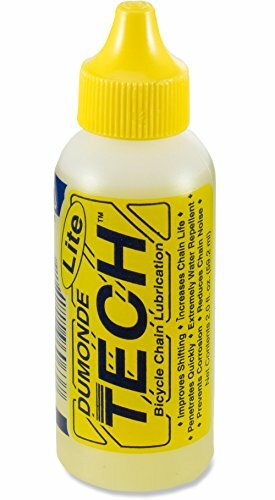 Dumonde Tech Lite Bicycle Chain Lubrication One Color, 2 oz. Unlike every other bike product in the world, the 'Lite' in Dumonde Lite Bicycle chain lube doesn't refer to its weight. Well, not in the usual sense. It refers to viscosity. The reason that this is so important is that you want a clean drivetrain. Heavy (thick) chain lubes leave a wet, sticky residue on your chain. That attracts dirt, which is cycled through your drivetrain. Dumonde Lite quickly works its way into your chains pivots and forms a low-friction plastic plating which bonds to the chain. It's designed to leave your chain feeling dry, so dirt falls off before it gums up your drivetrain. Which is nice, because dirt is one of the reasons that drivetrains die. A Light Bodied Synthetic Lubricant. Extreme Durability, Smooth Shifting & Quiet Riding – In All Riding Conditions Epic Ride is an excellent all-conditions bicycle lubricant that satisfies the demands of road and off-road cyclists. Because Epic Ride is uniquely formulated with non-petroleum based synthetic oils, it provides long haul durability without the excessive grime build-up common with conventional synthetic and non-synthetic wet-style lubricants. This unique technology was awarded a patent in 1999. 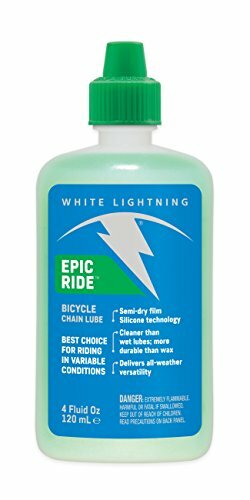 Epic Ride is a “lube-and-go” product, so no chain preparation or dry-time is required. Just apply and you’re off! 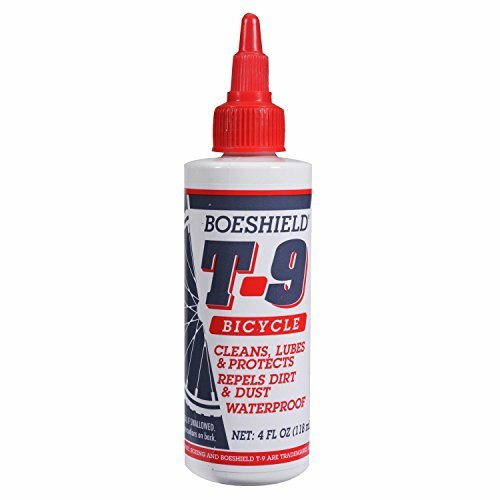 Boeshield T-9 was developed and licensed by global aerospace leader, The Boeing Company, to fill a need for high-performance, long-term metal protection and lubrication. T-9's rust preventative spray uses a unique formulation of solvent carrier and paraffin wax coating engineered to penetrate crevices deeply, displace moisture, dissolve minor corrosion, and leave a clean, waxy coating with lasting durability-without using Teflon, silicone, fluorocarbons, MEK, or acetone. Whether it be automotive, bicycle, industrial, lawn and garden, marine, RV or tools, T-9 continues to be the best option for rust prevention and waterproof lubrication. 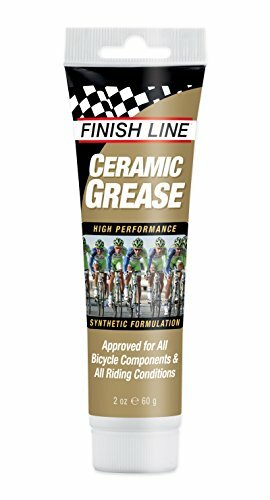 Finish Line's Ceramic Grease represents Finish Line's most advanced bearing lubrication technology. Formulated with sub-micron ceramic particles, Teflon fluoropolymer and premium non-toxic synthetic oils. Guaranteed to optimize the performance and efficiency of bottom brackets, hubs and headset bearings. As bearings become coated with Teflon and ceramic particles, friction and heat is dissipated. Bearings last longer and run quieter and smoother. Prevents rusting even when exposed to salt water! Excellent on stems & posts as well as cables and threaded assemblies. 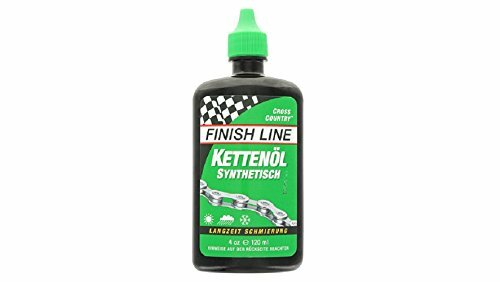 Finish Line WET Lube is an “extreme” lube; super durable high viscosity synthetic oils, special polymers, anti-wear additives, friction modifiers, and more, all combine to make this Finish Line’s strongest, longest lasting, most water resistant lubricant. WET Lube goes on wet and stays wet on the chain. Recommended for long-distance riding and extreme weather conditions. If you use WET Lube for riding off-road or in dry climates, be sure to wipe the excess from parts; this will help minimize the attraction of dirt and grime. Use WET Lube when you ride hard and long. Proven performance for 100-plus mile rides, muddy off-road conditions, long rainy commutes, and foggy salt-air coastal climates. A heavier, wet-style lubricant that requires a little more attention to drivetrain cleanliness, but delivers the ultimate in lubricity and protection. A heavier, wet-style lubricant that requires a little more attention to drivetrain cleanliness, but delivers the ultimate in lubricity and protection. 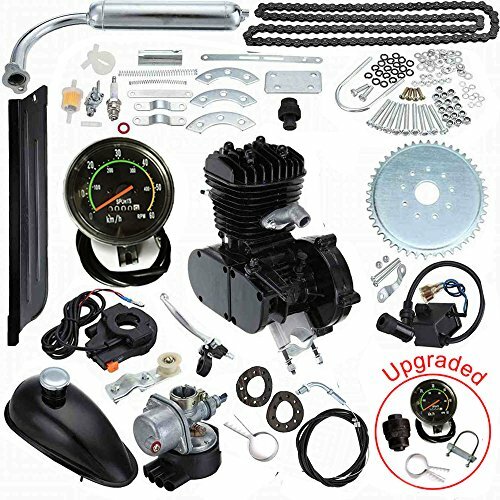 Compare prices on Bicycle Lubrication at ShoppinGent.com – use promo codes and coupons for best offers and deals. Start smart buying with ShoppinGent.com right now and choose your golden price on every purchase.